Our full colour banners are suitable for both inside and outdoor use – giving the look your business needs when you want to stand out from the crowd. 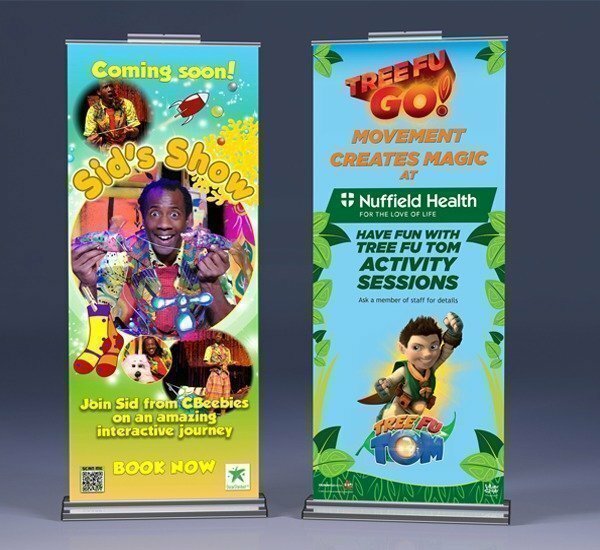 Made with durable anodised brushed aluminium, our banners (also known as roller banners) are self-winding, making them ideal for exhibitions, stalls and point of sale displays without them taking an age to put up. Our pop-up banners are printed on 300mic polyprop in full colour and held in place with an aluminium frame. You also receive a free carry case to store your banner in when it’s not in use.